With the same reasoning as a DCF stock valuation model, you can use a discount rate in this model to calculate a valuation at any point in time. Instead of using dividends, one uses transaction fundamentals. I present the DTF 😏(Discounted Transaction Fundamentals) model. 2/ The dividend discount model (DDM) values a stock as the present value of future dividends. 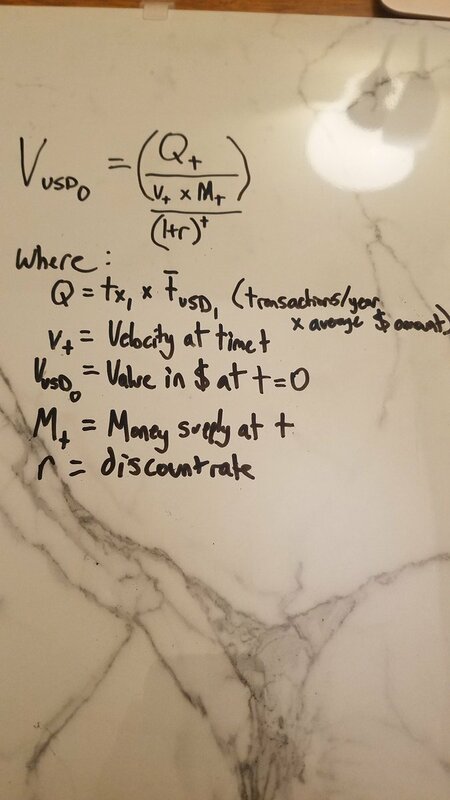 3/ Applying the same logic, you can value a (crypto)currency as the present value of velocity and supply-adjusted future transactions. Bitcoin’s perfect seed (genetic code) had been planted at the right and place. 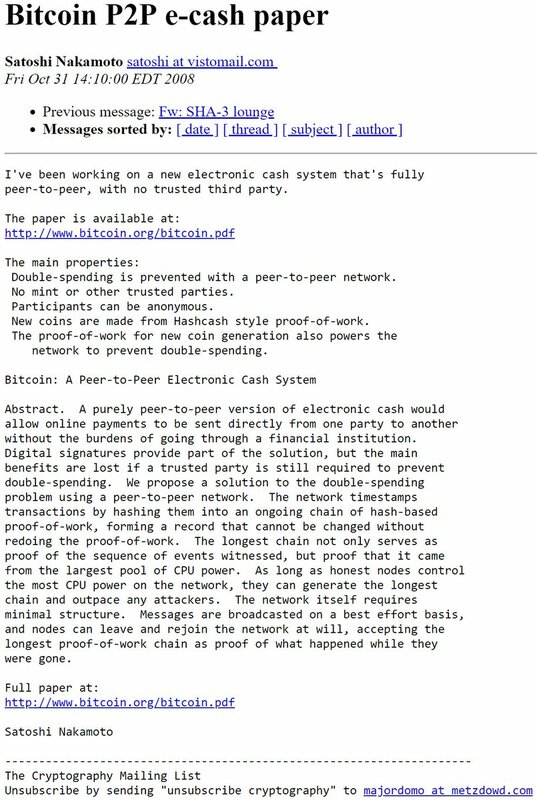 Now it was time for Satoshi to nurture Bitcoin’s development. 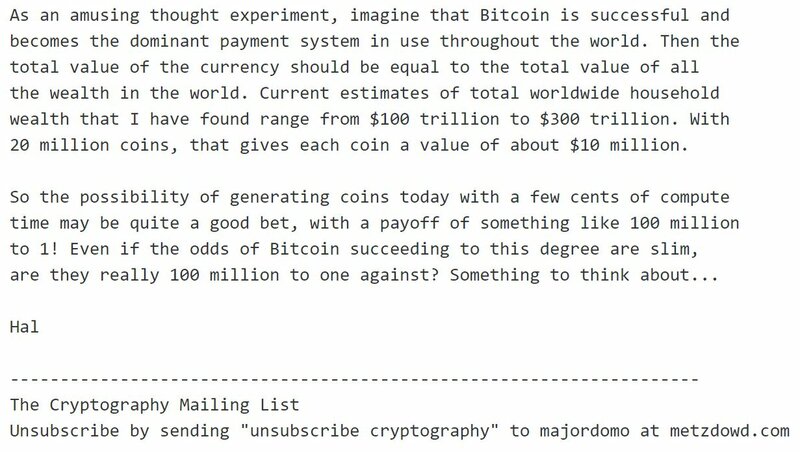 Satoshi chose to be anonymous, which fit the ethos of the Cypherpunks. People can project hopes and dreams on an anonymous individual, ensuring maximal narrative fit. 3/ Volunteers need to rely on trusting the objective reality of the code, rather than focusing on the merits of the project leader. 2/ The idea of “work” being energy started when the French Mathematician Gaspard-Gustave de Coriolis introduced the idea of energy being “work done.” A long time ago, the work done in the economy was entirely human. That work was powered by food. 3/ Thousands of years ago, our energy usage increased when we domesticated animals which could labor in our place. Those new laborers also had to be fed. Large amounts of food were required to meet the energy demand, and our prosperity increased alongside. • @coinbase custody open for deposits! • @CasaHODL open for Business! 1/ I always sympathize with open-minded nocoiners because we haven't had sound money in the world for a *very* long time. But I always wonder how would it be if it were the other way around. What if someone tried to sell the idea of easy money in a sound money world? 2/ The picture above is from "The Travels of Marco Polo". The interestingly-titled chapter "How the Great Khan Causes the Bark of Trees, Made into Something Like Paper, to Pass for Money All Over His Country" introduced the idea of paper money to the western world. 3/ "All these pieces of paper are issued with as much solemnity and authority as if they were of pure gold or silver", he says. "‘Of this money the Khan has such a quantity made that with it he could buy all the treasure in the world."